The Bryon dining table is a dining table made of entirely solid American walnut. There is a natural stain finish on the table to keep it's natural beauty and color. This table has a solid one piece table top that connects to four solid walnut post legs. A table like this will go with virtually any style of home. You can bring any style of chair into this dining table and it will create the style you want. 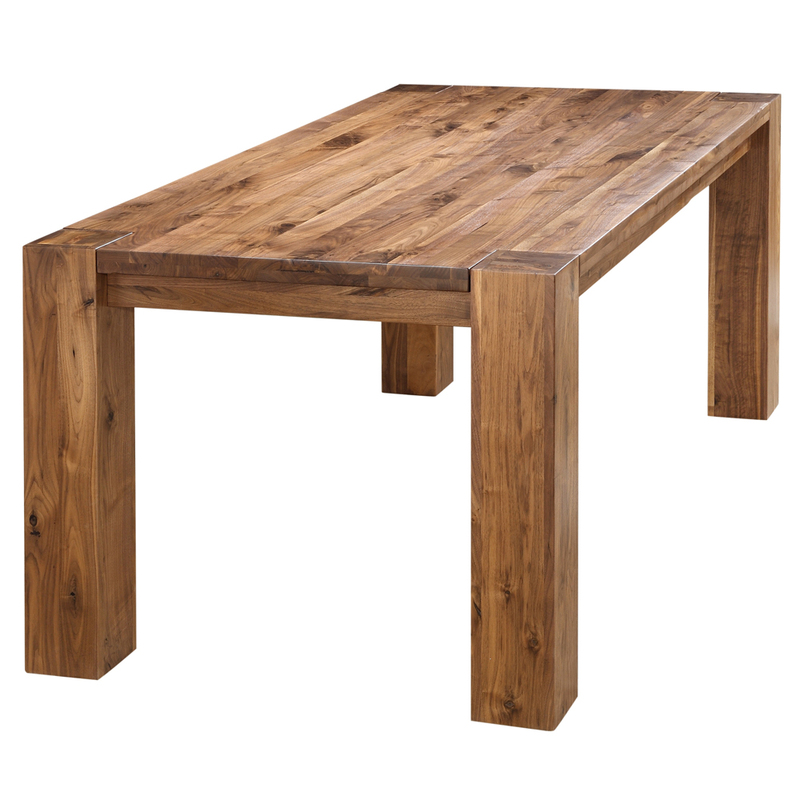 The table does not expand and the dimensions are 79"L x 40"W x 30"H.